Phenomenology and Naturalism is a collection of original philosophical essays dealing with the complicated relationship between various strands of naturalism and Husserlian-oriented phenomenology. These essays were delivered in their inceptive form at the 2014 Johannesburg conference on the same topic. There are two types of texts here. One analyzes the relation between phenomenology and naturalistic positions. Some defend phenomenology. Texts by Dan Zahavi, David Papineau, David Cerbone and Jack Reynolds fit this description. The rest showcase some philosopher’s hidden phenomenologies or focus on correlated topics. Benedict Smith, John Sallis, Paul Patton and Bernhard Weiss fit this bill. The volume is edited by Raphael Winkler. He introduces readers to a contemporary frame dominated by two opposing forces. On the one side, there are Anglo-American philosophers that justify the concept of nature with mathematical instruments, or by importing results from physics and biology. The main characteristics are precision and a broad focus on thinghood. On the other side, there are European philosophers that build on materialism and phenomenology. Their arguments rely on nuance and depth. The tension between these two philosophical orientations competing towards a new and innovative concept of nature takes the limelight in Phenomenology and Naturalism. 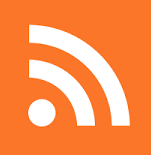 Dan Zahavi identifies three main issues in what speculative realists try to argue. First, he considers that their account of phenomenology is superficial. Classical texts in phenomenology are highly misinterpreted by speculative realists. Zahavi then shows how philosophers such as Merleau-Ponty or Husserl hold views that are opposite to or different from what speculative realists think they are. Last, speculative realists lack novelty (p. 19). All encountered criticism was already raised in the last century by philosophers arriving from the analytic tradition, by empirical researchers or even by other phenomenologists. Zahavi’s text leaves us to wonder whether speculative realism is now able to deliver a counter-criticism or not. David Papineau shifts focus on representationalism. He argues against the idea that sensory experience is representational and proposes his own phenomenological version of representationalism. He identifies two motivations for representationalism—cognitive science and phenomenologically inspired introspection—and claims that these two are often interconnected in representationalist writers. He is interested in focusing only on the second motivation because he explicitly takes the first for granted. Papineau first argues that the concept of representation is broad. Representational broadness occurs when two intrinsically identical subjects have corresponding mental states with different representational contents (p. 41). On the one hand, intrinsic aspects of subjectivity are rigidly connected to mental states. On the other hand, both subjectivity and mental states are loosely connected to representational contents. Because of having a dual appearance of precision and flexibility, representation-driven arguments can be used for both sides of the story: similar individuals can view the world in the same way (same mental states and similar representations), or they can view the world in a different way (same mental states and different representations). Papineau admits that this is problematic because representation ends up as either an overdefined or an underdefined concept. Then Papineau proposes his own version of representationalism. He forwards an analogy between typographical properties of a text and its representational content: the former are contingent to the latter. In a similar fashion, consciousness is related to representational content. The benefit of such a move, Papineau says, is that it eliminates the broadness problem. On the other hand, his phenomenologically-inspired representationalist account separates properties as part of experience from thing properties. For instance, it separates perceived redness from redness in itself. Papineau’s account almost becomes a case of phenomenological realism akin to those of the first wave of Husserl pupils from the Logical Investigations era. Unlike Husserl, Papineau denies that sensory experiences are intentional (p. 57). Papineau ends his paper with a discussion on whether his non-relationist account is worth pursuing against the double background of representationalist arguments and intuitions about consciousness. Cerbone argues that the opposition between phenomenology and Quinean naturalism is not obvious, because naturalism’s rejection of transcendental philosophy places naturalism in a similar position. Cerbone calls this position an exile. Such an exile is prompted by the phenomenological reduction because it places the phenomenologist in a position that transcends results offered by the natural sciences. This exile is facilitated by Husserl’s distinction between phenomena and objects, between what is immanent to consciousness and what is foreign to it (p. 86). It is a transcendental exile. This contrasts with the Quinean “exile from within” that characterizes naturalized epistemology. Against Husserl, naturalized epistemology denies that fundamental epistemological questions are outside natural attitude. On the contrary, they lie at the heart of evident facts. When attempting to explain visual perception, a naturalized epistemologist would most likely make use of scientific data and try to build up a picture of how some processes work, despite those processes transcending experiential evidence (e.g. I do not see photons as such). Cerbone criticizes this position by saying that, if there are no specific data to be taken into account, the distinction between true and false belief would collapse. Such an epistemology would thus fail to explain how knowledge is possible in general. Cerbone concludes his article with an exposition of his alternative that aims to create a phenomenology without epistemology. He relies on Merleau-Ponty. Both Quine and Husserl are committed to the idea of objective thought; both philosophers are engaged in a reconstructive effort and both are aware of two directions, explaining the subjective with objective instruments and vice versa. Merleau-Ponty rejects this design and insists that reality must be described, not constructed. Phenomenologists should not pretend they discover a constituting power within the depths of consciousness (p. 93). The focus on description would allow the phenomenologist, on Merleau-Ponty’s account, to avoid exile and remain in the homeland of thoughts, the human world. Reynolds writes about the compatibility between a minimal phenomenology and the ontology in naturalism. His account of a minimal phenomenology is not compatible with scientific naturalism. Reynolds’ first claim is that transcendental phenomenology’s autonomy regarding the natural sciences is insufficiently justified. His second claim is that a neutral scientific method discarding the first-person perspective is also an insufficiently justified idea. Reynolds hopes to find a middle solution between these two problems. He admits this is hard to achieve because Husserl’s principle of principles, which states that every intuition is a legitimate source of cognition, flies in the face of empirical science and its way of investigating nature. The separation between transcendental phenomenology and science prohibits the former to be able to learn from the latter. A sort of quarantine (an exile) is self-imposed by rigorous phenomenology. Reynolds reminds us that even Zahavi and Gallagher, who generally work towards a truce between phenomenology and science, will proceed and distinguish between transcendental phenomenology and phenomenological psychology. The first will remain intact, Husserlian, proper; the latter will safely mingle with naturalism. Reynolds thinks otherwise. He devises a three-pronged argument: the first is historical and appeals to authority, the second deconstructs the phenomenological quarantine, and the third shows the downsides of the present separation. Merleau-Ponty’s idea that the phenomenological reduction is by definition incomplete opens Reynolds’ main move: to deconstruct the purity of method that phenomenology promotes. He asks himself whether phenomenology can accept itself without its presuppositionless character. He argues that phenomenology should appreciate the ground that the natural attitude provides for phenomenological endeavors. Then, Reynolds says that transcendental arguments use a category of first-person experiences, such as shame, to spell out the conditions for that category to arise altogether. But if pathological cases deny the original phenomenological account, then the phenomenologist should be prepared to revise. Transcendental phenomenology does not benefit from resting on itself only. Reynolds thus proposes a minimal phenomenology that abandons the transcendental self-sufficiency (p. 118). This minimal phenomenology appears to be compatible with a liberal naturalism. It rejects scientific naturalism but respects the findings and methods of science. Such a compromise on sides highlight that phenomenology and naturalism actually need each other (p. 125). Zahavi, Papineau, Cerbone and Reynolds have defended or adapted phenomenology in relation to naturalism. The other four texts proceed differently. They unearth phenomenological ideas from well-known philosophers. Or, they use some of the concepts pertaining to the phenomenology vs. naturalism debate for proving something else. Benedict Smith shows that Hume’s concept of science of man is closer to phenomenology than it is to naturalism. Hume’s interpersonal aspect of experience is a fundamental and irreducible element of his science of man. Smith argues that the interpersonal concept can be linked to the Husserlian concept of intersubjectivity. Hume further claims that he can rely on the only solid ground he has: experience. Therefore, Hume’s aspiration is not to formulate a disenchanted version of the world, as if he were a metaphysician whose worldview is conclusive. Instead, he looks for essences in interpersonal experience. In the second part of the chapter, Smith illustrates Todes’ reading of Hume. Todes thinks that Hume is a disembodied visualist philosopher when thinking about human experience, because he dissects experience into instances. Smith defends the phenomenological Hume by saying that Todes primarily views Hume as a skeptic who has metaphysical aspirations. This appears to be a straw man for Smith. Let’s have an example. Phenomenologists usually criticize metaphysicians by default. Todes takes himself to be a phenomenologist. Therefore, Todes criticizes a metaphysical Hume he forges with his own reading. This strategy is shared by Smith. Nevertheless, Smith works in opposition to Todes. Smith’s overall position promotes a David Hume without metaphysical commitments and defends a study of human nature that relies on a continuous input from human experience. Patton’s text explores the reasons why Deleuze’s philosophy is incompatible with scientific naturalism. 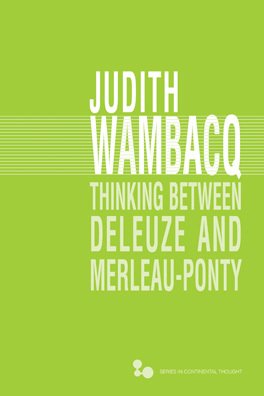 He focuses on Deleuze’s concept of pure event and shows that it is more inclined to work in a more pluralist –so to say, a more philosophical—naturalistic frame. Patton traces Deleuze’s position all the way back to Lucretius’ philosophy and to Epicurean naturalism. Their main trait, according to Deleuze and his Nietzschean reading, is to banish negativity from investigations pertaining to Nature and grasp the affirmation that dwells at its heart (Deleuze 1990, 279). This idea is reflected in Deleuze’s pragmatic conception about what philosophy is: the invention of concepts. The concept of doing is more important to Deleuze that the concept of givenness. Yet, philosophy is a special kind of doing. While science produces mathematical or propositional functions, philosophy deals with the production of concepts. Both are affirmative, yet they take different paths of affirmation: the role of concepts is to describe pure, non-empirical events. Deleuze’s position, Patton claims, is reinforced by the concept of pure event which relies on the distinction between being and becoming. Philosophy, in Deleuze’s signature naturalism, is conceived as a process, a becoming, rather than substance or being. As process, philosophy should address pure events that are either finished or envisioned and conceptualize their core meaning. This idea paves the way for Deleuze’s naturalist ethics. Action should be coherent with the succession of events that leads to it. The will to coherent action takes form as the philosophical activity of concept production. Patton’s conclusion suggests that Deleuze’s conception about philosophy is complementary to science. John Sallis reviews the most important philosophers that have supported the call of returning to nature. He begins with Chrysippus’ idea that choice should be exercised in accordance with nature. This includes the choice of seeing nature as an end and not only as a means. This idea infiltrates Rousseau’s project about the original nature of man: the state of nature. Rousseau promotes the return to nature because this return enriches any theoretical description of the initial conditions that led to human civilization. Rousseau’s project is genealogical. Kant’s transcendental project, on the other hand, is concerned with the conditions that lie in the cognizing subject. Kant’s own return to nature, Sallis explains, takes the form of contemplating the beauty of natural things and provokes an attunement to moral feelings. The Kantian return to nature is not methodological or epistemological, but related to moral subjectivity. Thoreau fully embraces this connection between nature and morality and underlines its existential character. He supports the idea that one should practice a life surrounded by nature because the confrontation with nature is the primary way of knowing oneself. Nietzsche expands on this by promoting the concept of life-affirming values. The most important sensibility a human can develop is a sensibility for nature. The will to power is a will to harvest one’s own inclination towards nature. Sallis’ text ultimately suggests that the philosophical problem about the concept of nature transcends the phenomenology-naturalism debate. Weiss’ text is connected to the book’s topic because of using the concept of representation. He starts by distinguishing between two facets of belief. Belief is a reaction to evidence; but beliefs represent the world. One facet is directed from the world to the subject. The other proceeds in reverse. The former is called the Threshold view, while the latter the Representational view. They are opposites. Weiss argues for the Representationalist view because it defuses what Weiss refers to as the Preface Paradox. The Preface Paradox is that even though a person has a set of beliefs, not all facts can be believed to the same of degree of intensity and still maintain Logical Coherence. In light of this, the advantage of Representationalism over Thresholdism is that Representationalism endorses Logical Coherence, while Thresholdism does not. 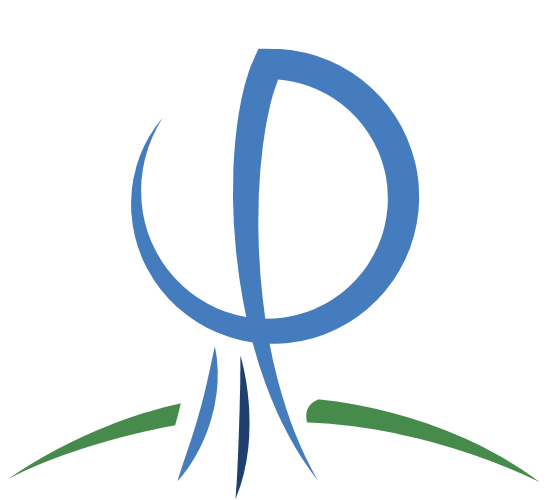 The Thresholdist resolves the Paradox by saying that it depends on the threshold of beliefs that is taken into consideration, so the paradox does not necessarily appear. Weiss criticizes this position by saying that levels of credence shaped by thresholds are too broad. The introduction of levels of credence does not develop any visible relation to coherence. Thus, any level of coherence can claim to be coherent by default. Thresholdists can always argue that coherence exists because of threshold’s design. Weiss argues for the existence of three ways to deal with the Paradox without becoming a Thresholdist: (1) is to find fault in the inferential steps that lead to the paradox, (2) is to absolve the subject from committing to one of the sentences that leads to the paradox and (3) is to accept a paradoxical appearance of an otherwise plausible situation. Weiss goes for (3). He supports Representationalism via Logical Coherence by thinking that the Preface Paradox is not actually a Paradox from the viewpoint of its relation to Coherence. The volume is an important step for the discussion about adapting phenomenology to naturalism, or vice-versa. 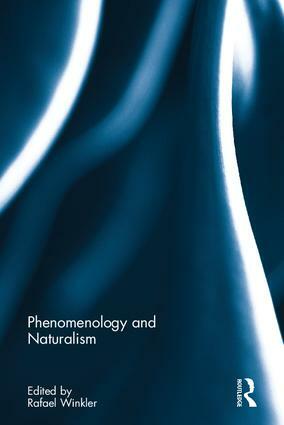 It joins another Phenomenology and Naturalism (2013) volume that was edited by Havi Carel and Darian Meacham. The book should be of interest to anyone who studies embodiment, the philosophical aspects of empirical science, but also to phenomenologists and epistemologists. The book’s strongest point arrives from the novelty its texts bring; the weakest, a partially disparate character. The volume now provokes discussions about the irreconcilable relation between Husserlian phenomenology and scientific naturalism. The problem in bringing transcendental philosophy and empiricism together does not appear to have a convincing resolution in some compromise-driven middle ground between the two. Brassier, R. (2007). 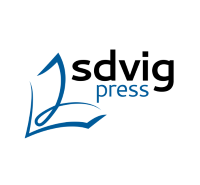 Nihil Unbound: Enlightenment and Extinction, Palgrave Macmillan. Deleuze, G. (1990). The Logic of Sense, trans. Mark Lester and Charles Stivale, (ed.) Constantin Boundas, New York: Columbia University Press. Harman, G. (2005). Guerilla Metaphysics: phenomenology and the Carpentry of Things, Chicago: Open Court. Meillassoux, Q. (2008). After Finitude: An Essay on the Necessity of Contingency, London: Continuum. 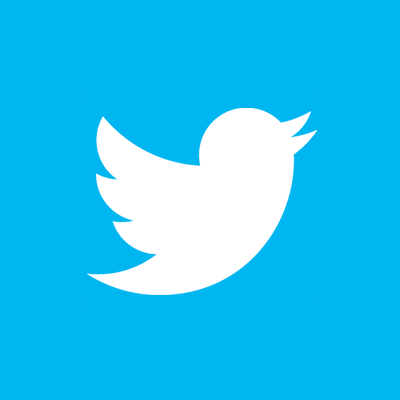 Sparrow, T. (2014). The End of Phenomenology: Metaphysics and the New Realism, Edinburgh: Edinburgh University Press. What’s wrong with Phenomenology (according to Spinoza)? Perhaps the weightiest critique of a phenomenological approach belongs to rationalism, rooted in Spinoza. This is a break with Descartes, in which phenomenology finds its inspiration. Rationalism or Myth? These are our choices. Are these real choices? The first stands for Spinozism and the second phenomenology. How is it that Spinozism and phenomenology became antagonistic? 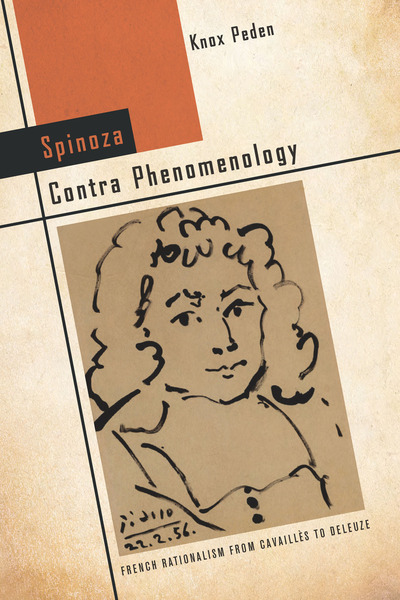 The important point to notice here is not that Spinoza himself represents the contra, as the title of this book seems to suggest, but rather ‘followers’ or readers or manipulators of Spinoza have come to use him. Thus, this is a primarily historiographical, but also philosophical question— perhaps better expressed in the phrase “Spinozism contra phenomenology.” What kind of rationalism prevails over what may appear to be myth? “This book is a history of a countervailing strand of development in which a series of French thinkers sought to salvage rationalist philosophy from its phenomenological denigration by reconfiguring it in Spinozist terms,” (4) Knox Peden writes. The series of French thinkers thus creates the narrative, and it is a particular kind of narrative. “Rationalism” as a term of art for Peden means a lot of things, and he points out how Ricoeur thought of Husserl as a kind of rationalist. The importance for the series of French figures he considers points to the fact that rationalism means that reason, “however it is conceived, supervene[s] on the spontaneous insights of lived experience” (6). At the core of this problem then is a difference between Cartesian and Spinozist rationalism, the former entailing a phenomenological outlook, the latter an anti-phenomenological and anti-Bergsonian one. But how Spinoza plays a role in Spinozism is a fraught issue, as Peden is well aware. None of the figures he considers would be called “Spinoza specialists”. What is then most fascinating about this history, and one that Peden is very keen on telling, is the fact that this division impacts disciplines such as philosophy of science as well as history of philosophy and philosophy of history. If phenomenology was seen as irrationalist, then the development of these disciplines from within philosophy could also be seen that way. The hinge of the book, and one that might be split in the middle from around 1968, concerns those thinkers before 1968 vs. those thinkers after. This is not a perfect split or hinge, of course, but how we historically situate a split – before and after or tension and resolution. But there is no resolution. Not to mention that the different senses of Spinozism are matters of emphasis rather than substance. The “disjunctive synthesis” that Deleuze attempts between Spinoza and phenomenology has not won the day. “There is a difference between understanding ideas and understanding where they came from, however much the one may illuminate the other” (13). Barthian Protestantism and Spinozist rationalism seem like polar opposites—Barth’s God is wholly absent; Spinoza’s God is fully present—the theoretical effect of these positions is the same: God is nonanthropomorphic and, more important, noninterventionist in the world of human affairs (274). This was a means for using religion against phenomenology, but even better Spinoza against the cogito. For Cavaillès, love was an experience of transcendence, and thought an experience of immanence. “Philosophy only works in the light,” he writes, “between rational clarity and the obscure night of religious life.” (30) One finds the roots of his Spinozist ontology in a letter of October 7, 1930 where he says, “I believe that, outside of rationalism, philosophy can only be self-defeating” – for Peden’s Cavaillès, being is not transcendent but rather immanent, “coexistent with existence itself.” Cavaillès thinks of Spinoza as the true Christian, unlike Leibniz. Later, Peden notes, “if there is incompatibility between Kant’s and Spinoza’s philosophies, it is not to be found in the critique but in the metaphysics that kept Kant tethered to Leibniz and Wolff.” (33) There can be no “intuitive or empirical confirmation” of the rational on this picture of Spinoza, says Peden. Chapter three furthers this philosophical-historical story with reference to Desanti, one of the most controversial figures of the French communist party (PCF) who took up the ‘debate’ between Aristotle and Galileo. Desanti utilized Spinoza to defend geometric abstraction, particularly “what he praised in Spinoza was the linking of philosophy to the exigencies of … Galilean science” (114). Already, in Desanti’s own lifetime, we see a breakdown of the pre- and post-1968 divide that this book supposedly makes when Peden writes, “This sense of permanent tension at work in Desanti’s own philosophical efforts of the 1960s and 1970s accounts for the effect they have of being at once stimulating and frustrating in their constant deferral of any sense of resolution” (98). While Desanti does follow the French thinkers Cavaillès, Gueroult, and Alquié and does interpret Spinoza in an Hegelian and Stalinist direction, his “feverish tension” between thought and action makes him an uneasy bedfellow to Spinoza contra of the title. For Peden’s story, we see him essentially as a political transitional figure to Althusser, who had him as a teacher. The last two chapters of the book concern Deleuze. Here Peden finally uses Spinoza himself (from definition IV of Book I of the Ethics): By attribute I mean that which the intellect perceives of substance as constituting its essence. Is this a question of perceiving or conceiving? Deleuze stands at the door and knocks, playing with this very notion, this very problem at the basis of rationalism, which he calls “distinct-obscure.” And here is where much of the rationalism vs. myth comes to play, but also the return to Ptolemy instead of Copernicus (and thus Galileo). Badiou’s problem is that Spinoza doesn’t allow for politics. Althusser and Deleuze critique phenomenology for entailing politics from ontology. How ought we to live? The rationalism vs. myth question remains and the break between Spinozism vs. phenomenology is both a real break and a mythical one. As historically derived as Peden makes it out to be in order to tell his story, the real Spinoza would have had much more friendly and consonant conversations with phenomenology if he had lived and if the story could be told, though he would not have liked everything he heard. If the story could be told. Posted on Wednesday May 4th, 2016 Tuesday August 22nd, 2017 Author Michael DECKARDCategories ReviewsTags Alquié, Althusser, Cavaillès, Deleuze, Desanti, GueroultLeave a comment on What’s wrong with Phenomenology (according to Spinoza)?